Driverless cars will increase motorway congestion for years, because autonomous vehicles will be programmed to drive too cautiously, according to the latest government research. The Department for Transport (DfT) has predicted a “decline in network performance, rather than improvement” because computer driven vehicles will operate more cautious than those driven by people. 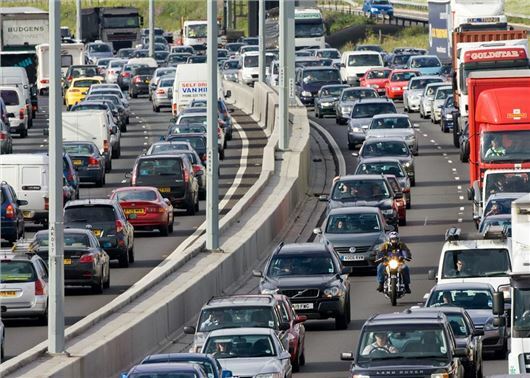 This will result in years of increased delays as driverless cars struggle with high-speed, high-flow situations, such as motorways and dual carriageways. The DfT used computer software to simulate how driverless cars will impact Britain’s road network and found that delays on high-speed routes will increase by at lest by 0.9 per cent. until 50 per cent of all cars are driverless. "Much will depend on how an autonomous car’s parameters are set and just how defensively these vehicles will be programmed to drive." There is some good news for city and town drivers though, with a 12.4 per cent cut in congestion predicted when one in four cars are driverless. Delays will cut by 21.3 per cent when 75 per cent of all urban cars are autonomous, while motorway traffic will fall by 16.9 per cent. “This report bears out two key things about driverless vehicles: first, that there's a prize to be had in terms of swifter, safer journeys, but second, the transition to that world will be challenging,” said Steve Gooding, director of the RAC Foundation. “Much will depend on how an autonomous car’s parameters are set and just how defensively these vehicles will be programmed to drive,” added Gooding. The DfT expects driverless cars to reach the market in the next five to 10 years and is already working on changes to motor insurance. One proposal under consideration would see the insurers of blameless accident victims taking the vehicle manufacturer to court in the event of software failure. "computer driven vehicles will operate more cautious than those driven by people. This will result in years of increased delays "
Surely more cautious = less accidents = less delays ?